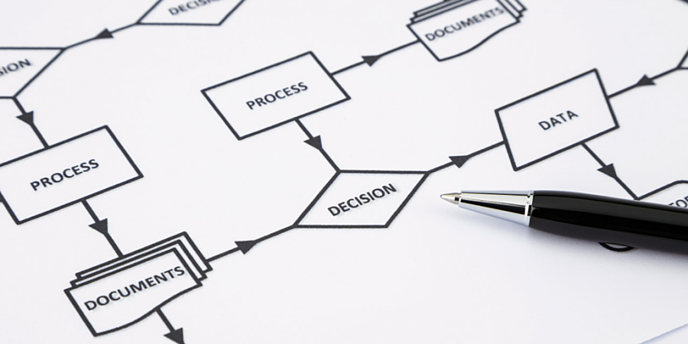 Prior to automating the review and approval your business documents, you must define your workflows to ensure you have a smooth and successful implementation. 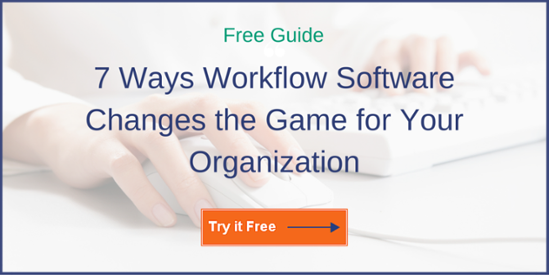 Once you automate your workflow management, you will save valuable time and money. However, if you do not take the time up front to define your workflows it will take longer before you begin to see the benefits of these valuable improvements. This will help you get a better understanding of the way information is currently routed. Bring in a moderator that knows nothing about the process – This encourages team members to explain the process in more detail. Include both management and staff in the discussion – Management doesn’t always know what is really happening in the trenches, while the staff doesn’t always know why a task is executed or why a certain step is taken. Document the process with pictures and words - Seeing a large drawing of your workflow can help you pinpoint places for improvement more easily; use craft paper or a whiteboard and encourage the participants to interactively insert key information. These steps will ensure that you thoroughly understand why things are done the way they are today so that you can look at better ways to get them done tomorrow. Ask questions - Keep asking who, what, where, when, why, and how to uncover information that is not readily available. Discover anomalies - Start with the straight forward path first, then come back and look at the exceptions to the rules. Refine the process - Look for ways to eliminate, shorten, or automate the process. Remember, you can't always automate; sometimes you just need to document the process and procedures to enforce the process. Define the process elements - Determine what information and documents are needed to complete the steps within the process. Develop content repositories - Categorize documents into repositories that are simple to understand, easy-to-find, and allow quick access. Determine access levels - Determine who needs access to what information so you can set restrictions on viewing rights. Record areas for automation - Now that you have your workflow outlined, look for the areas that you believe should be automated. You can contact your document and business process management software provider to get started on implementation. Remember to consult your legal department on any laws regarding the way information is stored, routed, and accessed to ensure you are retaining information correctly and for the required period.